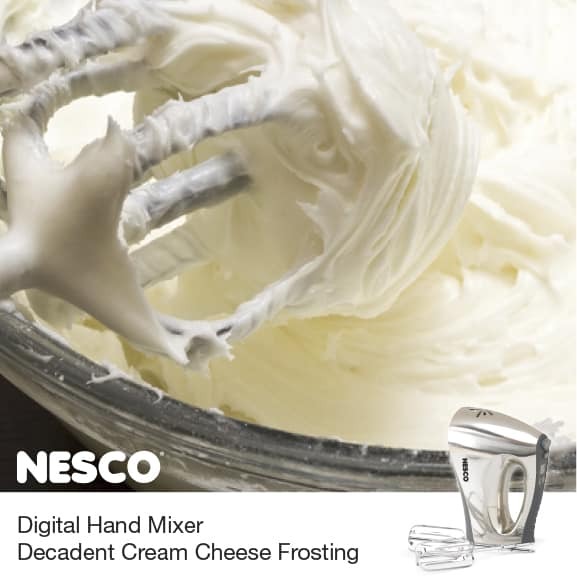 Smooth and creamy frostings always turn out great with the NESCO® Digital Hand Mixer. Just four simple ingredients and this frosting is perfect for hundreds of your favorite desserts. In medium bowl, cream margarine and cream cheese with an electric mixer. With the mixer on low speed, add in powdered sugar and lemon juice until light and fluffy. Add enough powdered sugar to make desired consistency. Spread evenly over cooled cake.